Effective coatings are essential to counteract the effects of corrosion and degradation of exposed materials in high-temperature environments such as gas turbine engines. Thermal barrier coatings reviews the latest advances in processing and performance of thermal barrier coatings, as well as their failure mechanisms. Part one reviews the materials and structures of thermal barrier coatings. Chapters cover both metallic and ceramic coating materials as well as nanostructured coatings. Part two covers established and advanced processing and spraying techniques, with chapters on the latest advances in plasma spraying and plasma vapour deposition as well as detonation gun spraying. Part three discusses the performance and failure of thermal barrier coatings, including oxidation and hot-corrosion, non-destructive evaluation and new materials, technologies and processes. 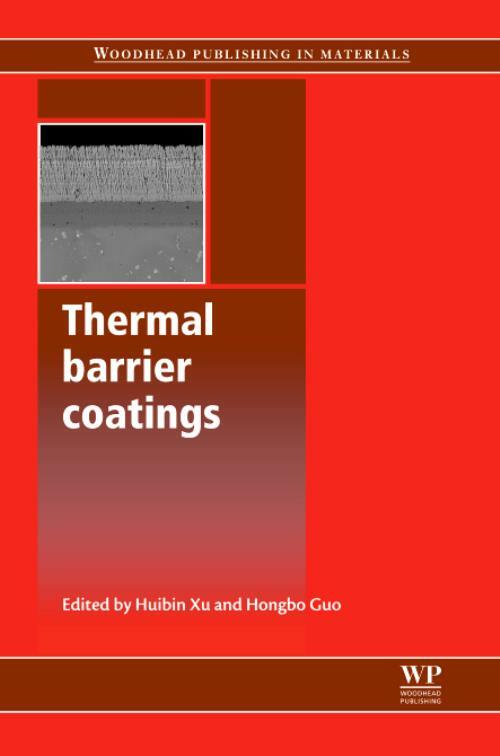 With its distinguished editors and international team of contributors, Thermal barrier coatings is an essential reference for professional engineers in such industries as energy production, aerospace and chemical engineering as well as academic researchers in materials. Xu, HuibinDr Huibin Xu is a Professor in the School of Material Science and Engineering at Beihang University (formerly Beijing University of Aeronautics), China. He is noted for his research on high-temperature corrosion and coating technology. Guo, HongboDr Hongbo Guo is an Associate Professor in the School of Material Science and Engineering at Beihang University (formerly Beijing University of Aeronautics), China. He is noted for his research on high-temperature corrosion and coating technology.